Weed Provides Relief For Menstrual Cramps?! 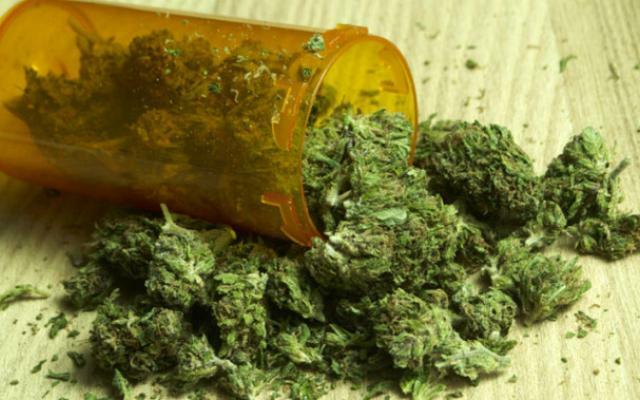 New Jersey May Consider This New Bill For Medical Marijuana - Ooooooo La La! Hey ladies! Do you suffer from bad cramps during that time of the month? Well, thanks to Whoopi Goldberg and Maya Synergy, menstrual cramps may get added to the list of approved conditions for medical marijuana in New Jersey. Assemblyman Tim Eustace is introducing legislation on Friday that would add women’s conditions to the approved list of ailments for medical marijuana, according to Forbes. “We will expand the the list to serve the population that needs it,” said the assemblyman. Eustace was inspired by the new products by Whoopi Goldberg and Maya Elisabeth that were created specifically for women to relieve female pain. “We have a lot of people leaving the state for treatment and hopefully this will change that,” said Eustace. New Jersey has one of the most restrictive medical marijuana programs in the country. Governor Chris Christie has been very vocal that he’s against the program that was initiated under Governor Jon Corzine. “Every month women experience pain and discomfort associated with their period. Cannabis is a wonderful remedy, and combined with other superfoods and medicinal herbs, can provide the type of relief many women need,” said Ms. Elisabeth. She is the owner of Om Edibles, founded in 2008 and is one of the most innovative manufacturers in the burgeoning California medical cannabis market. She said she expects to get the products near April 20th. The bath salts will retail between $12-$14 and she doesn’t think any of the products will cost over $35.